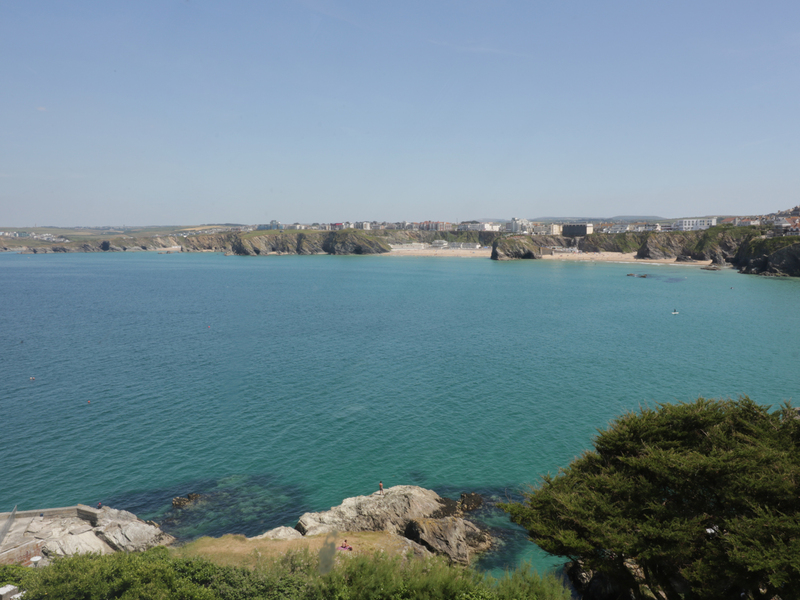 Pentowan is a contemporary penthouse apartment situated in Newquay in Cornwall. The apartment can sleep four people in one king size bedroom and a twin as well as a family bathroom. The rest of the cottage is made up of an open plan living area with a kitchen, dining area and sitting area and a reading/childrens room. To the outside of the cottage is off road parking for 1 car and a private garden. Just a short stroll from all that Newquay has to offer, Pentowan is the perfect holiday base. Gas central heating. Electric fan assisted oven, hob and grill, microwave, fridge/freezer, washing machine, dishwasher. TV with freeview, DVD, WiFi, Xbox 360 with games, selection of books, games and DVD's. Fuel and power inc. in rent. Bed linen and towels inc.in rent. Off road parking for 1 car. Own private garden. Sorry, no pets or smoking. Shop and pub 5 mins walk.